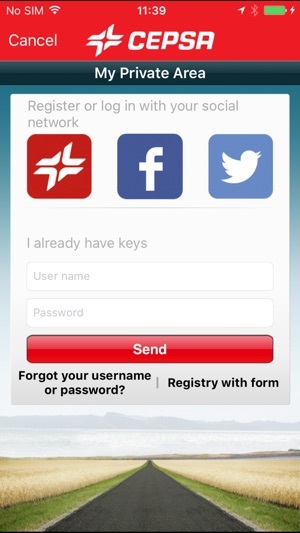 CEPSA presents its application for iPhone, iPod Touch and iPad, incorporating numerous features to make your life just that little bit easier. 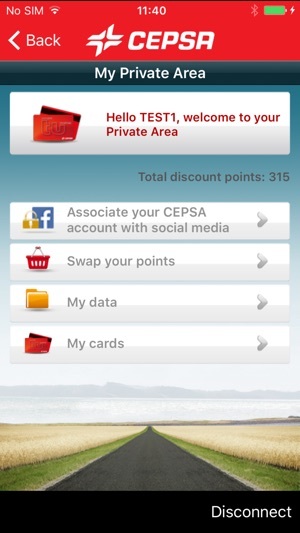 Become a CEPSA customer from the app and you will always carry your card in your mobile phone. 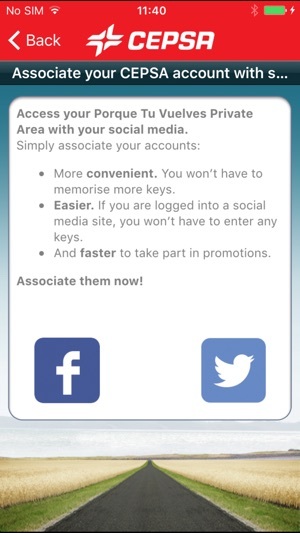 It's now easier to access your private area by signing in using Facebook or Twitter. View your point balance and review your movements, transfer your points between cards, see your data and lock your cards immediately on your phone. CEPSA is proud to present all the available promotions, close by or on route. You can choose the promotion that appeals to you, taking full advantage of all our offers. Includes fuel details of our Loyalty Scheme “Porque Tu Vuelves” which offers points for discounts on fuel, or for gifts from our exclusive catalogue available for download directly to your phone. 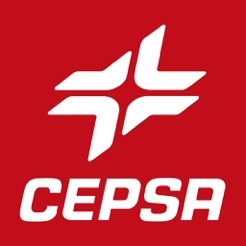 From now on, CEPSA products and services can be close at hand at all times. With the help of our app's geo-tracking system, you can now easily and quickly find any CEPSA Service Station in your surrounding area or along your planned route. You can also refine your search using filters to find 24-hour service stations or those with a shop, café, restaurant, carwash, hotel, butane gas, or any other service you may need. You can also place orders for home delivery of central heating oil or butane gas using your iPhone. Simply use the app to find your nearest distributor or contact your local representative. Also, apply now for your butane or propane gas bottle. Choose from receiving it at home or getting close to a point of sale. 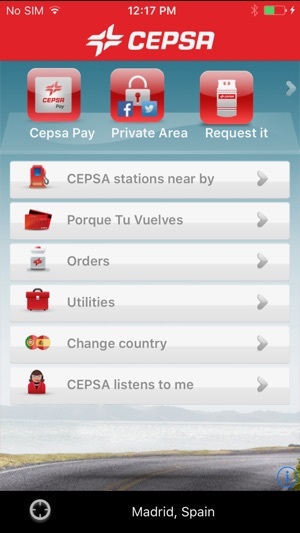 The CEPSA app can be used to locate many other services and facilities, such as CEPSA Órbita garages, butane gas points of sale, parking facilities, chemists, tourist attractions and anything else you may need, wherever you are. You can reach any destination following the simple directions on your mobile device, showing you all the Service Stations along your chosen route. Simply select a starting point and your destination, or search for a previously recorded route for frequent journeys to the same place. Access traffic news in real time to avoid traffic jams and unnecessary delays. Need to remember where you parked your car? Don't worry, this app can tell you exactly where you left it and how to get back to it. You can even enter a clue or take a photo of the place you leave it. 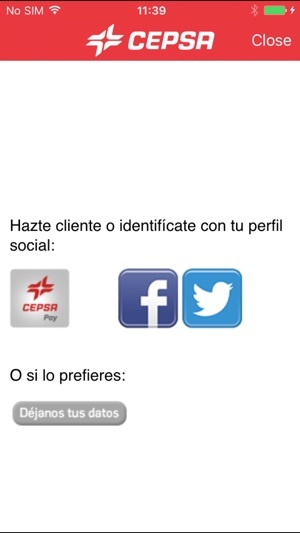 You can contact us using the app on your iPhone. Please send us or suggestions or ideas on how we can improve. 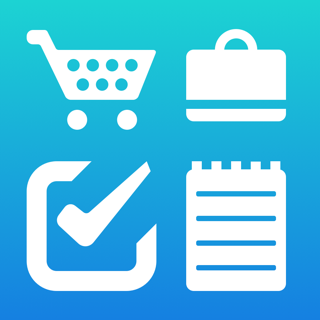 We hope you enjoy all the services provided in this app, as a features, we'll be adding many more soon.